Death at a Funeral DVD and Blu-ray release date was set for August 10, 2010. 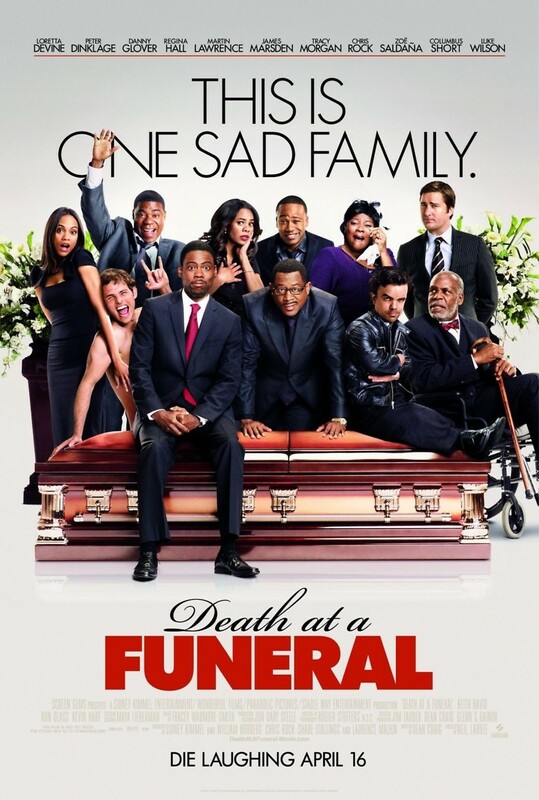 In this hilarious film a rather large family is attending the funeral for a well liked and respected man. While family and friends are mourning the loss of their loved one, strange things seem to start happening. When an uninvited and unwelcomed visitor arrives, his sons become desperate to protect their father from being disgraced by the unexpected mourner who is armed with a story of unknown, dirty secrets and evidence to prove this crazy story is valid. Before too long, there is an accidental drugging, disturbing family secrets begin to be revealed, and a body seems to be misplaced somehow. Throughout all the chaos, the two will stop at nothing to protect their father and his good name.